All Seattle public schools will hold K-12 mock elections in a manner that befits each school. King County Elections has officially committed to funding these elections at $50,00 per year over a 5 year grant period with efficacy review at that point. Because research proves that youth voting increases citizenship aptitudes for life we must teach kids how to vote from K-12 . All K-12 schools will encourage students to register family members and others and high school social studies teachers district-wide will continue their fall of 2012 commitment to a shared effort to register all seniors in Seattle public schools.King County Elections (KCE) and the Sec. of State’s (SOS) Office in Olympia have committed to assist in these endeavors. Additionally, the Social Studies program of the Office of the Superintendent of Public Instruction (OSPI), through its new Citizenship Education Initiative, is actively supporting the SOS’s annual online Mock Election. 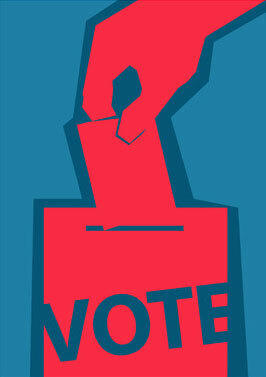 50,000 scholar citizens will annually participate in democracy’s most sacred act:VOTING! Research by CIRCLE “shows emphasizing elections in civics classes has a (long-term) positive impact on political knowledge and voting.” If Superintendent Enfield/Banda/Nyland endorses the Initiative, King County Elections and the Secretary of State’s office have both committed to helping facilitate a student-friendly experience, with KCE providing customized, age-appropriate voter’s pamphlets, ballots,and voter registration materials and SOS providing on-line voting and detailed statistical voting analysis. Abundant research proves that when we teach youth the civic values, habits, and skills of citizenship they vote at much higher rates and tend to become voters for life. The Plano Texas School District has been doing mock elections across their city since 2008! Check out the Plano student voting experience here. In Hawaii 120,000 K-12 students vote each fall! Click WeVoteHawaii!